Facial muscle pain. TMJ pain. Trigeminal neuralgia. These are real, life altering problems, often misdiagnosed and mistreated. Just last week I examined and began treatment on a woman from the DFW metroplex who had been suffering with TMJ pain and dysfunction, along with facial muscle pain, since she was first married in her early 20s. The pain currently radiates down the right side of her face and neck. She is now in her 50s and has seen 10-20 dentists, “TMJ specialists,” chiropractors and other medical doctors in an attempt to remedy her constant pain without success. Most of her teeth have been in temporary crowns for several years as dentists’ attempt to fix her problem, completely unsuccessfully. Following one (1) session, the woman reported her pain and dysfunction was 99% gone. This happens in our office every week, treating someone with facial pain from somewhere in the US. Unfortunately, a Dr. of any kind can be a good person and try really hard, but one “does not know what he/she does not know.” If a Dr. of any kind does not know how to treat a problem, including TMJ and myofascial pain, the treatment will probably be unsuccessful! After a while, these facial pain patients “get in their own heads” when treatment by seemingly trained professionals continues to be unsuccessful. It is easy for them to start thinking they are crazy! 1) Facial muscle pain, most often caused by a malocclusion (bad bite) coupled with teeth clinching and bruxism. Tooth pain. This could be a cracked tooth, sinus problems, gum recession causing teeth sensitivity, etc. Trigeminal neuralgia (tic delaroux) is not as common but one of the worst pains known to man. 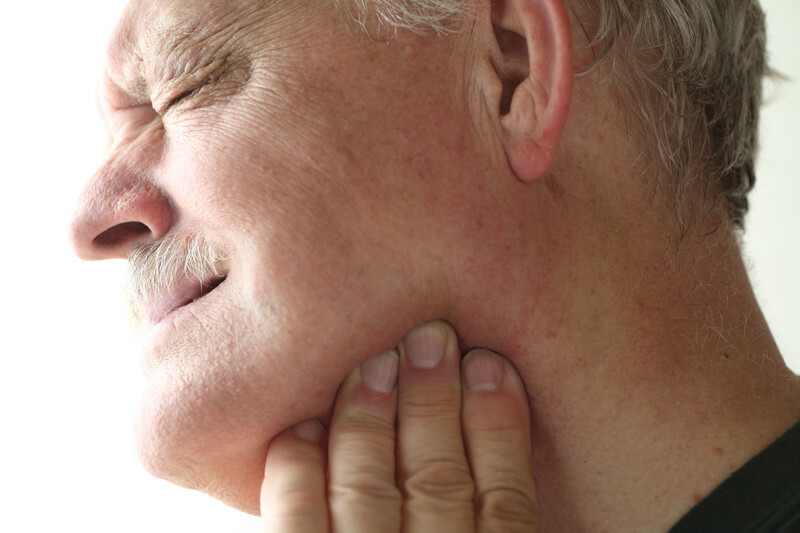 This pain is described as an “electric shock” type of pain and is often misdiagnosed as tooth pain. It may be spontaneous or may be caused by something like tooth brushing or breathed air contacting the teeth or gums. My advanced teaching center in Dallas was actually started because of facial pain. I could not hear of one more patient undergoing ineffective treatment, including joint surgery, for facial muscle or joint disc pain and/or dysfunction! At the teaching center (Center for Advanced Restorative Dentistry: CARD) I actually teach dentists how to restore the most complex cases, but facial pain was the impetus to begin the center, originally launched at Baylor College of Dentistry. #4, trigeminal neuralgia, is treated either with medication or surgical procedures. The gamma knife procedure has proven to be a very effective procedure in my experience. #1 and 2 above, myofascial and TMJ pain and dysfunction, are treated by 1) balancing the bite so that the teeth contact at precisely the same time on the right and left sides when the jaw joints are maximally seated, 2) simple physical therapy instruction and supplies to attain a comfortable mouth opening of approximately 45 mm, 3) an occlusal orthotic appliance to be worn at night which takes 80% of the pressure off the jaw joints, facial muscles and teeth while the patient is sleeping with “ungovernored” clinching (bruxism), 4) occasional short term muscle relaxants and occasional trigger point injections at the beginning of treatment. I treat facial muscle and TMJ pain and dysfunction basically the same. In most cases, following a comprehensive examination, we begin with an MRI of the TMJs so we know precisely what we are dealing with before we begin treatment. Our success rate with facial muscle and TMJ pain and dysfunction patients over the past 10-15 years has been approximately 95% +. Success means the patient is very comfortable and functional most of the time, and, if ever a period of extreme stress on the system occurs, the patient understands the steps to take to remedy the occasionally, if ever, recurring pain and dysfunction. If you’re experiencing facial pain and would like an appointment with Dr. Cutbirth, please call (254) 772-5420.